We want every customer interaction with us to be convenient, fast and easy. Each month this series will highlight an Xfinity feature that can be done on your mobile device, online or on Xfinity X1. If you’re looking for a specific channel number, you can view your channel lineup right from your Xfinity My Account app on your smartphone or tablet. 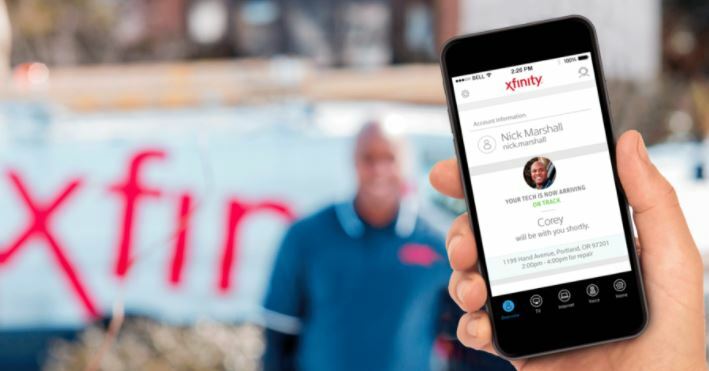 If you don’t already have the app on your device, you can easily download it by searching for: Xfinity My Account on iTunes for Apple devices, and through Google Play for Android devices. The app can also be accessed online at: https://comca.st/2Rs17Ik or by saying “My Account” into your Xfinity X1 voice remote. 1. Log in to your MyAccount app on your mobile device or online. 2. Press the “TV” icon at the bottom of your screen. 3. You will see a list of all the boxes associated with your account. At the top of this screen, click “View channel lineup”. 4. Here you’ll see a summary of the number of channels in standard def and high def associated with your account, along with a numerical listing of the broadcasters and programmers. 5. To search for a channel in particular, start typing the network name into the search box.